﻿ Suphan Lake Hometel, Bangkok | FROM $21 - SAVE ON AGODA! "Wonderful staff, clean rooms (cleaned daily by staff), very..."
Have a question for Suphan Lake Hometel? "Employee is so nice ." "Really good location to and from airport;"
"Silent, safe, 24 hours staff, good for budget saver & clean"
This international class hotel is conveniently located 10 minutes away from the airport while, at the same time, you can just as easily access the city center. 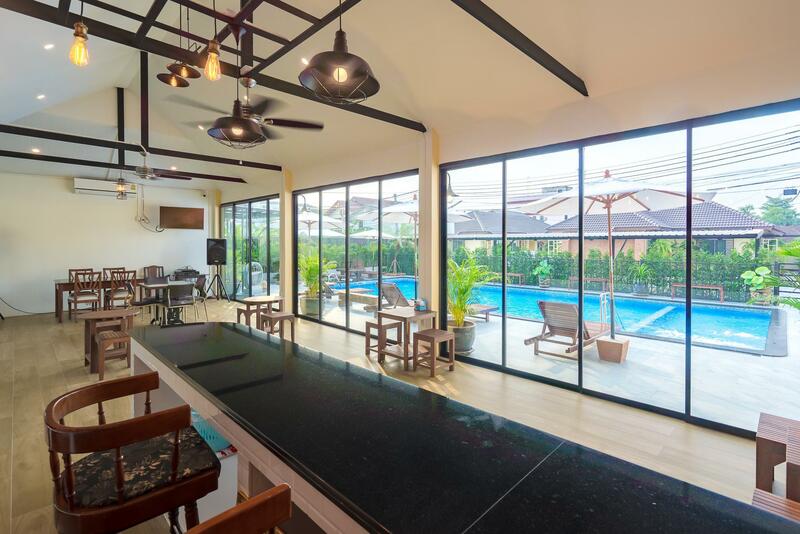 The property also enjoys easy access to the expressway and outer ring road to easily commute to renowned tourist destinations like Pattaya, Chonburi, and Rayong. The hotel features elegantly designed rooms adorned with unique contemporary themes that are combined with modern amenities to produce a supremely restful atmosphere. Guests can enjoy great food at an in-house restaurant, and a variety of day trips or tours can easily be arranged and booked through the hotel. Please note that the property provides transfer service to Suvarnabhumi International Airport at no additional charge only for room type of 'Superior with Breakfast+Free Suvarnaphumi Transfer'. Please submit complete flight details (arrival and departure) during the reservation. If flight details are not specified the hotel will not be able to guarantee transfer. When details are submitted guests will be met with the hotel representative holding the hotel sign at the Airport Exit no 4 on the second floor of the Arrivals Hall. The hotel representative will wait for up to two hours after landing. In case you cannot find the hotel representative, please ask the Information counter to make an announcement alerting the hotel of your arrival. whenever I am flying in and out of Bangkok, I stay here. great rates, very clean and fantastic staff and just a short taxi ride to the airport. If I have a late departure flight, it gives me a chance to stretch out, take a nap and shower before taking a taxi. for an late arrival, i can check in and stretch out and shower so it's an easy day the next day and I can get some rest after a long flight from Europe or the states. Wonderful staff, clean rooms (cleaned daily by staff), very accommodating overall. Cute market nearby with delicious and affordable food. We've been to Suphan Lake Hometel twice now and will be back again in the future for stop overs. This is a decent budget hotel. They do have a new swimming pool now which is very nice. But you will need own transport or rely on Taxi as it is far from any public transport services. Staff only have basic English but do try their hardest to help with any problems, luckily i was with a native Thai speaker most of the time. The place is quite near the airport. It took the taxi around 15 minutes to get there. Airport taxi knows this hotel. It is located in an urban neighborhood. Really Quiet and has a park and a lake behindi it. The hotel offers a relaxing vibe when you get there. Staff is very friendly. Easy to get taxi and the staff can call one for you. Near to an intersection where there is a market and 7/11 and other place. Just a few minutes aways from a big supermarket and some banks. Cons: No elevator for travellers that have big luggage but the staff are always helpful. Far from tourist spots but you take taxi or go to the train line to go there. Only Takes about 35 minutes to get to the main City by train and taxi combined. I suggest to use the train, very easy. The hotel location is very helpful for travellers who are in a quick layover. Near the Suv. Airport. You go to the city very easily by train or taxi. Homey and quiet neighborhood vibe. For PHP 1200 via agoda, its worth the price. It's right next to a lake with a nice park, which was really great for spending time the afternoon before my flight. And the staff happily called me a taxi at 1:30am when I needed to leave for the airport. About a 20 minute taxi ride away. We first booked our stay at Suphan Lake for only 5 days, but we extended it another 16 because of the price, the location (we were taking classes close by the hotel), and the proximity to a nice park. The staff are on top of everything and really did a great job keeping the place clean and tidy for us. We really loved our stay there! I really enjoyed my experience as Suphan Lake. Studying at a school close to the hotel, the price was right and the staff friendly and really was awesome at keeping the room nice, clean and tidy. Will stay there again. Stayed here for one night and a whole day before the returning flight home with my wife. They put us on the third floor but there was no elevator. Beautiful garden but haven't been to the lake. Very far from the main tourist attractions such as the Grand Palace and temples. It costs around 300 baht just to get around from the hotel, which is pricy for Thailand taxis. Staff are bad at English compared to the workers from three other Thai hotels we've been to. Breakfast is 150baht if not included with the stay, which we didn't choose to get. But the streets are quieter and no one harasses you to buy things on the streets when they recognize you as a tourist. You can truly experience the real Thailand and less of the tourism from this hotel. Just needed a room for a short layover at late night only for a family of 2+2, so just find a nearby hotel at low price. We booked via agoda with clearly stated accomodate with 2 kids at 6/8 y.o.. But the hotel needed us to pay an extra 300 baht for a standard room with extra bed. Actually, which is 60% of our rents, feeling robbed. My wife is native Thai but couldn't get an accurate instruction how to go there. The hotel is located at a small alley that hardly to find even on self drive. Room was clean, small & ageing, the smell from toilet was so stinkly that upset our stomachs. Didn't alike what other reviewed. Anyways we just stay couple hours there, stand for it then... extra pillow also asked for extra pays...be frank , lot of choices in this price range available. We really appreciated the housekeeper and front desk officer for collection of our left behind mobile phone they are so good for helping. Clean & comfortable 15mins to airport by Taxi 150bht. Breakfast available but local eateries & 7/11 less than 5min walk. Would recommend for a night or 2 but not central Bangkok so would need taxi to any attractions. It has definitely been a fruitful experience at Suphan. We really didn’t expect to have had a nice stay. 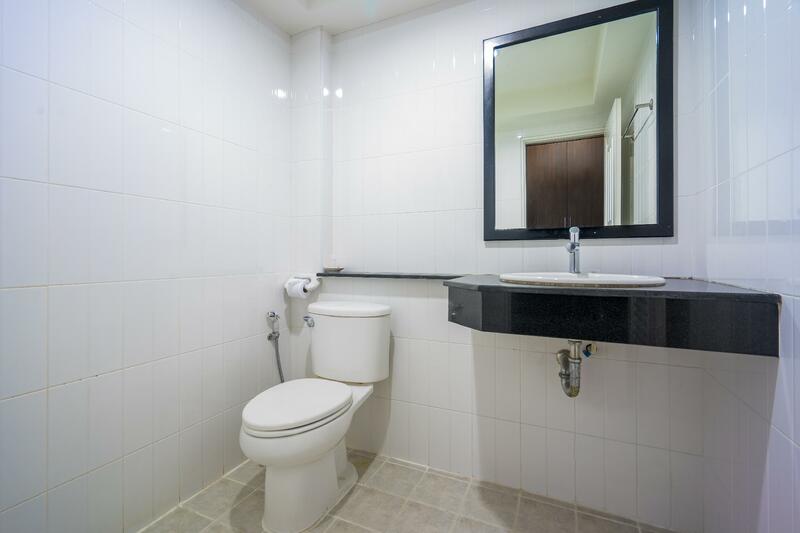 The clealiness stood out the most as I am pretty much a particular person when it comes to cleanliness. It was really a good value of money. You pay for what you want. The staffs were amazing. I could ask for suggestions and tips. They were really helpful. There was one night where a few mosquitos were in our room and we came down during the midnight to ask for help and they offered to spray our room. After that, we had a comfortable night. Thank you for the great help! We truly appreciate and would return back for sure! We learned that we could easily travel out if we take a ride to the airport link Lat Krabang. The location was a little too far from all the attractions but however you could get access to the train if you take a taxi to the airport link which would cost you 80-100 baht. Other than that, most drivers usually lost their way while sending us back. Clean, friendly hotel (quite) near to the airport. Good aircon and hot showers.